I don’t care what you have to say about Lance. 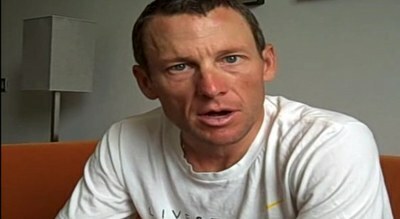 I don’t care if you think he doped. I don’t care if you think he’s got an attitude. I don’t even care if you think he’s a god, or that he’s changed cycling forever. I care what he’s doing right now, and today that was riding for the late Margaret Creek and her husband Todd. Todd wrote to Livestrong to tell of his wife’s battle with Leukemia, and how she died after they struggled against the disease, and that’s who Lance had in his thoughts on Day 6. And when I get on my bike in a little while for my daily ride, I’m going to be thinking of Margaret and Todd too. Next Next post: Versus How they Doing Now in HD?